Whales are one of the few aquatic mammal species. 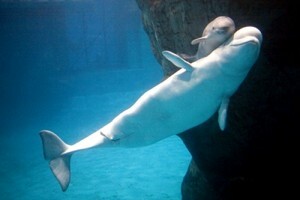 Using the blowhole they have located at the top of their heads, which is really a hole, they are able to breathe. Besides this, they have several traits mammals generally have: they are able to nurse their babies using their mammary glands, they have warm blood, a heart having four chambers, and they also have hair. Depending on the species, the newborn babies can have different sizes at birth. The newborns of this whale species called Beluga are about one and a half meters long at birth and between forty-five and sixty-five kilos. While the babies are either reddish or blue when they are born, the adults are all white. They reach maturity at between 7 to 9 years old. This species of whales have babies at birth much bigger than the Beluga, reaching about eight meters long and no less than six and no more than eight tons. Reaching maturity also takes longer for the Blue Whale babies, from ten to fifteen years. As an adult, the blue whale will get to 190 tonnes in weight and a length of 30 meters/98 ft. That makes this mammal the world heavy weight champion, the biggest that our planet has to offer. A Bowhead baby weighs about six tons at birth, also reaching five meters in length. They can be considered mature after about six years. At birth, the Humpback species whales are about four meters long and about two tons and a half in weight. They reach the adulthood after about fifteen years. 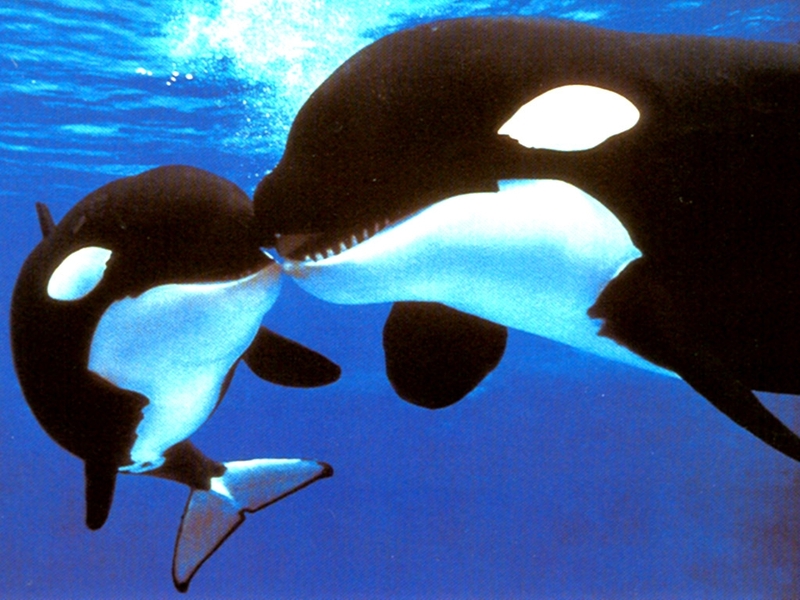 This is a killer whale species, having babies of about two to two and a half meters long at birth and a weight of about one hundred and eighty kilos. Unlike males who reach maturity between twelve and sixteen years after birth, the females mature quicker, between six and ten years. 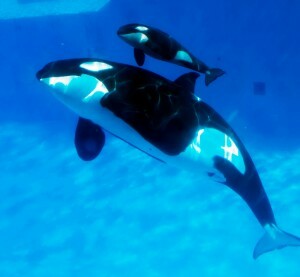 Even though they have the word killer in their names, these are generally not dangerous for humans, at least not in the wild, since some of the captive orcas have killed their handlers, or injured them. The whale babies are called calves and generally only one calf at a time is born, although exceptions do happen from time to time. Most whales reproduce once every two up to four years, depending on the species. The Killer Whale is actually part of the dolphin family, but their babies are still called calves. A whales group bears the name of pod, as does a group of dolphins, Killer (Orca) or Pilot whales, even though they are not part of the whale family. For a group to be named like this, it has to have more than two whales in it and sometimes is also called a herd, a school of grind or gam. However ‘pod’ is the widely accepted and used term. Whales and dolphins generally like to stay in pods so they are able to hunt and to travel in groups. However, the Blue whale for example always likes to travel alone. 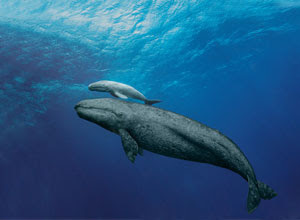 Generally, the whale pods consist of the mother and her calf (a pair), but they can be as large as fifty whales (like in the case of Bowhead whales). Usually the smaller species tend to travel in larger groups. The Humpbacks for example use pods only for temporary activities like mating or hunting. 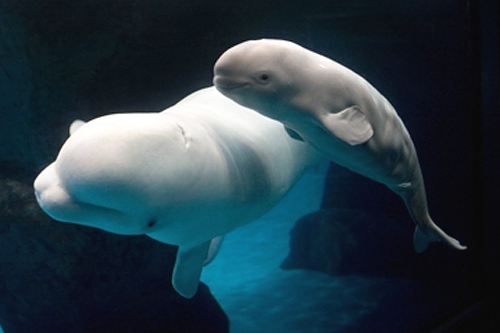 Whale babies get all the fat they need from their mothers’ milk. 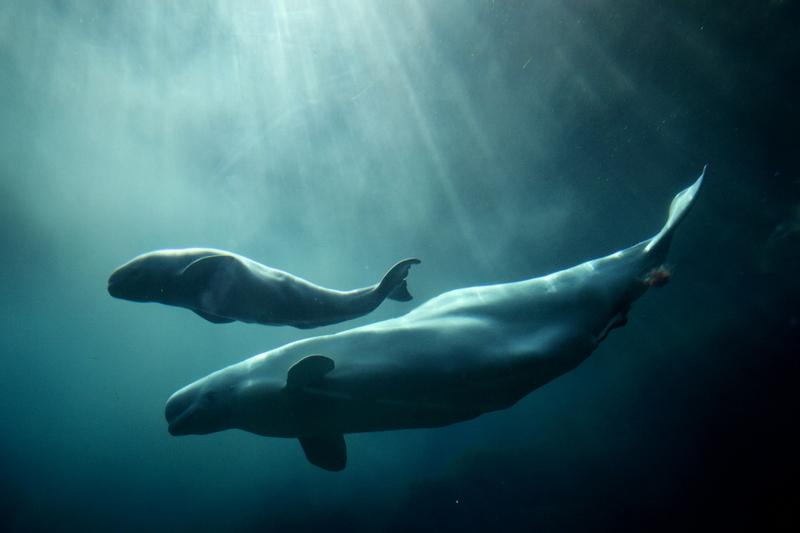 Although most whales stop weaning by the end of their babies’ first year of life, the Beluga and Sperm whale species only stop at between one and two years after birth.